LOS ANGELES -- Andrew Rodriguez was 15 years old when he smoked his first cigarette. 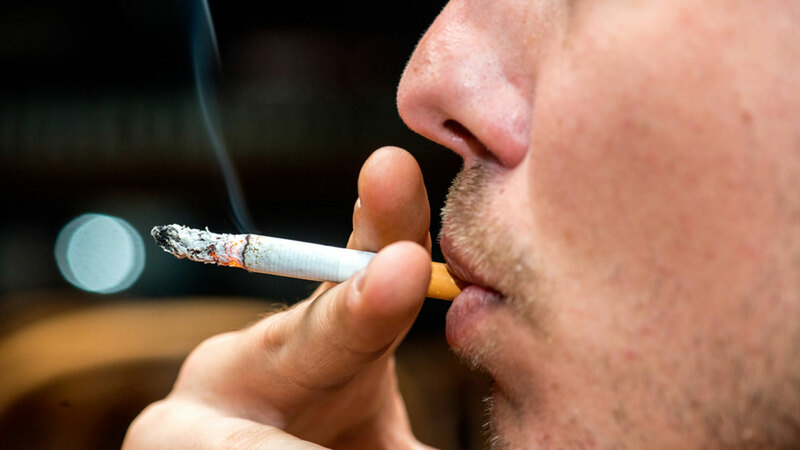 He knows how addictive smoking can be and hopes a new California law raising the smoking age will discourage young people from taking up the habit. "I think it's better," said the 21-year-old chef-in-training from Los Angeles. "I just hope they don't raise the drinking age." Beginning Thursday, smokers have to be at least 21 to buy tobacco products in California. The nation's most populous state joins Hawaii and more than 100 municipalities in raising the legal smoking age from 18 to 21. Anyone who sells or gives tobacco to people under 21 could be found guilty of a misdemeanor crime. Huthyfa Ali, a convenience store clerk near downtown Los Angeles, doesn't expect the new rule to affect business since he doesn't serve many teenage customers. Ali applauded the effort to deter minors from using tobacco products, but noted that determined youngsters tend to find a way around the law. "Sometimes they send other people to buy for them. Maybe some people will be too scared to ask" under the new law, he said. The push to raise the minimum smoking age in California stalled for months over objections by veterans groups, who argued that people old enough to fight in wars are old enough to smoke. Lawmakers eventually agreed to keep the 18-year-old tobacco age for service members. Surveys have found that the vast majority of daily smokers begin using tobacco before age 19. Last year, the Institute of Medicine estimated that increasing the smoking age to 21 would discourage 15 percent of young adults from taking up smoking. Tobacco companies have long opposed restrictions on sales, but kept a low-profile in the debate. A call to the tobacco organization Altria Group Inc. was not immediately returned Wednesday. The smoking age increase was part of a package of tobacco-related legislation signed by Gov. Jerry Brown last month that also regulates e-cigarettes. Vaporizers, vape liquid and other electronic smoking paraphernalia are now treated as tobacco products under the law. Like cigarette smoking, e-cigarettes are banned in many public spaces including workplaces, restaurants and movie theaters. The vaping industry had fought against the new e-cigarette limits, claiming its products are a better alternative to smoking tobacco. Albert Sandoval, a 24-year-old LA resident, said he's relieved that people can only vape in certain places. A non-smoker, Sandoval said he stood in line for a new iPhone several years ago next to a man who vaped. "It was getting me mad because he was right in my face," he said. "I don't want the smoke in my face."